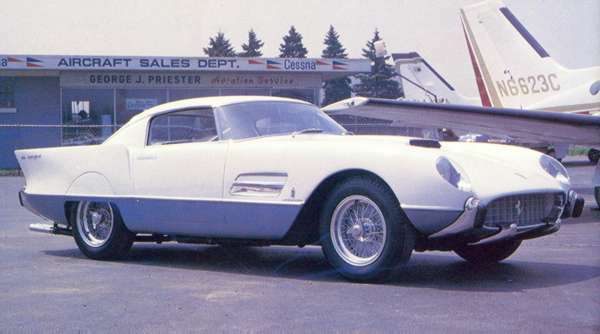 Project Summary: The one of a kind star of the 1956 Paris Auto Show, the 410 Superfast I is a truly unique automobile. The only Ferrari GT ever built with a Gran Prix drive train, it really is Superfast. Shown in a series of pictures from a book published right after restoration, it is obvious that this car is a tour de force for Enzo Ferrari and body builder Pinin Farina. 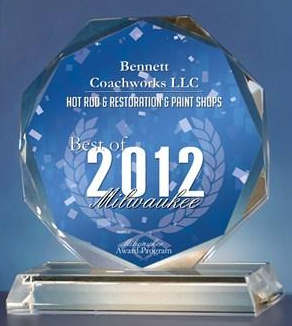 Body prep, paint, chassis prep, research and assembly by Bob Bennett of Bennett Coachworks. Mechanical prep and assembly by John Hadjak of Motorkraft. Car has won so many shows that it is not shown competitively any longer.